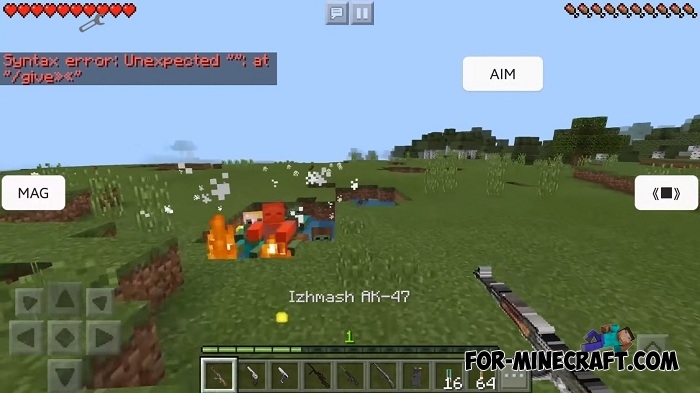 You've never seen such a realistic weapons mod for Minecraft PE and it's easy to explain. Let's take DesnoGuns for comparison: of course that modification has a lot more different weapons and modifiers but the Realistic Gun mod has a slightly different direction. 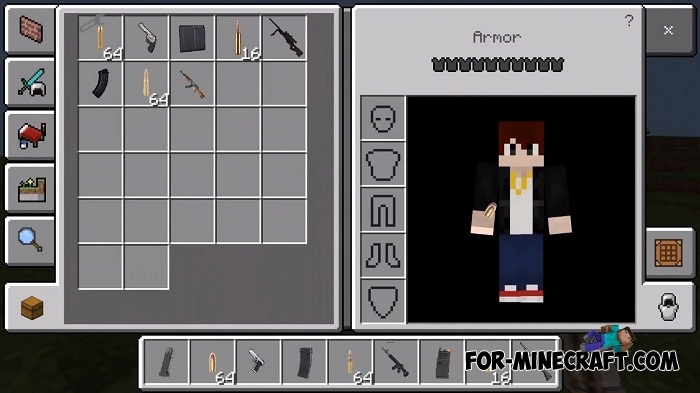 As you can see, the available weapons arsenal is not that big, but every weapon is used just like in reality. 1. You need to get the gun itself. 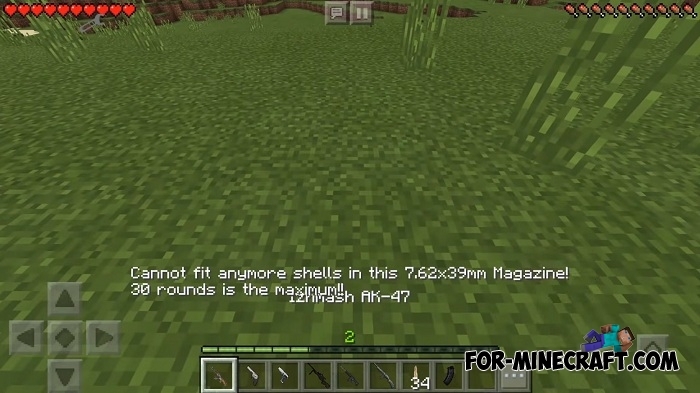 You can use the following commands to instantly receive weapons in your inventory. /give - get all guns, unloaded magazines and ammo. /ck1 - get HK rifle, remington, SIG pistol and loaded magazines + some ammunition. /ck2 - get AK47, AWM rifle, Smith nd wesson revolver + loaded magazines + ammo. 2. Having received the gun you need to load it. Use magazines (tap on the ground) to load them with bullets or click the revolver to load the cartridges in the revolver cylinder. A special interface will appear on your screen, press the buttons and also pay attention to the chat. 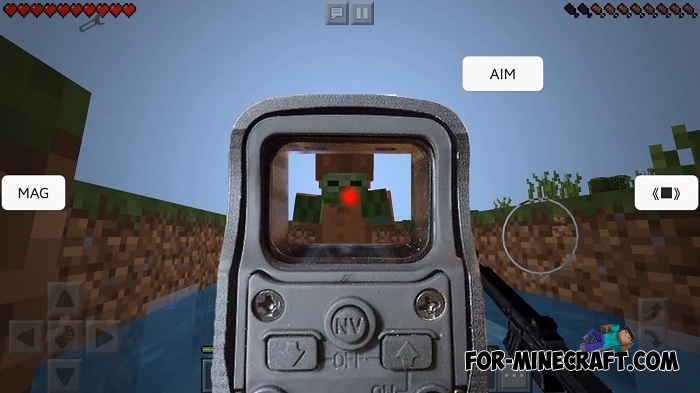 Reloading is accompanied by realistic sounds. 3. Shooting you'll hear realistic sounds. 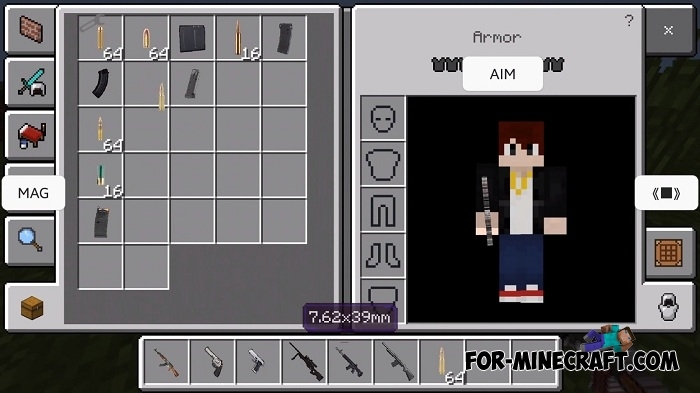 Each gun has a certain damage, you can be sure of this by shooting at the blocks or mobs. 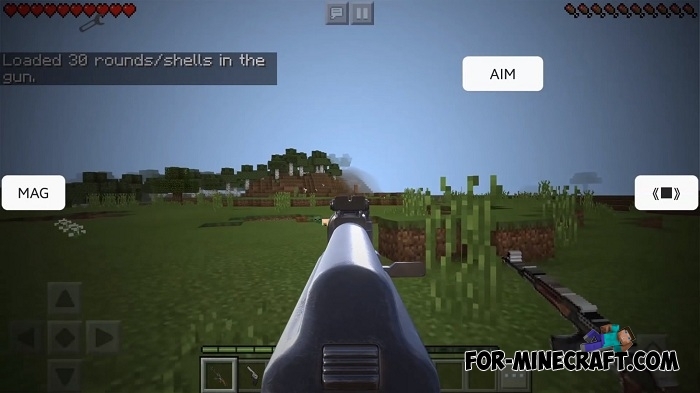 Anyway, the Realistic Gun mod is currently the coolest modification for MCPE, especially for the shooters. Be sure to check out the video below to understand how it works. 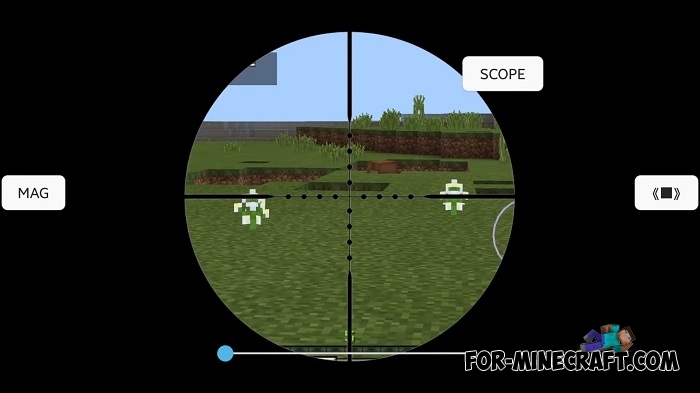 How to install the Realistic Gun mod? 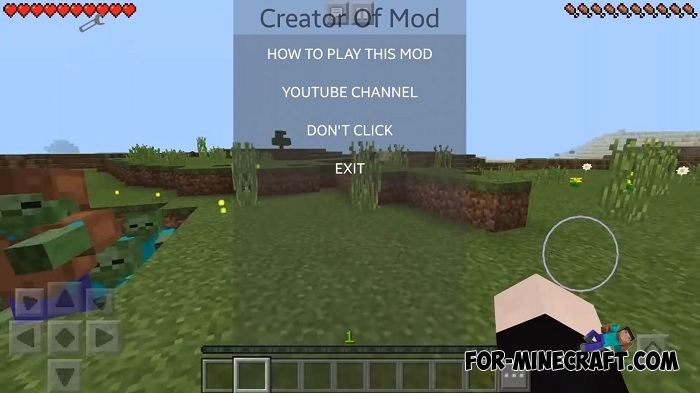 ModPE -> Open the .modpkg file -> start the game.